Happy July! Let the quest for low octane, fizzy Cocktails continue! 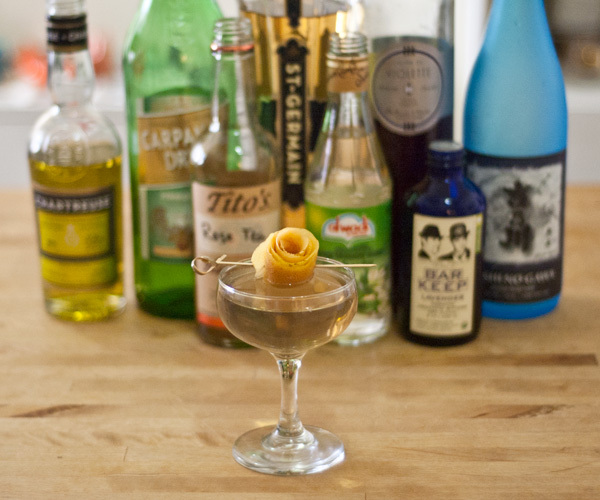 Remember that Rose Tea Vodka we made awhile back for the unbelievably complicated Flower Flower cocktail? If you still have any left (hard to believe, I know), I’ve got a really fabulous summery Vodka & Tonic for you! Hello pretty Mint leaf, how fragrant are thy scents! 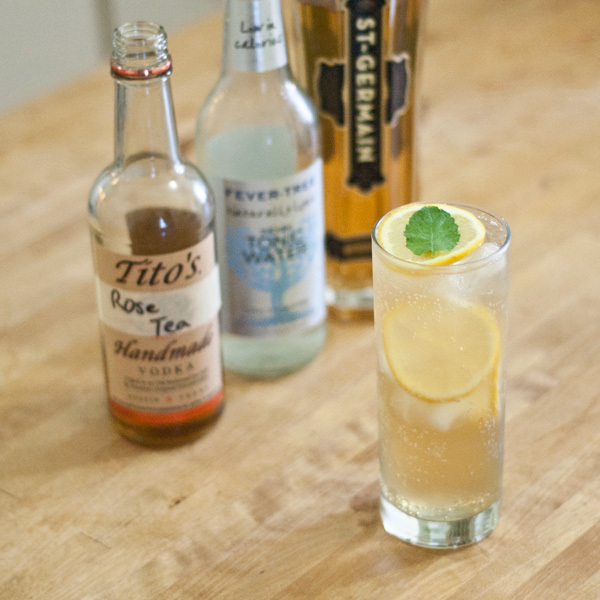 This is a very easy drink to make, my only encouragement is that you get the best Tonic you can possibly find. I highly recommend Fever-Tree Tonic Water or Tomr’s Tonic Syrup. 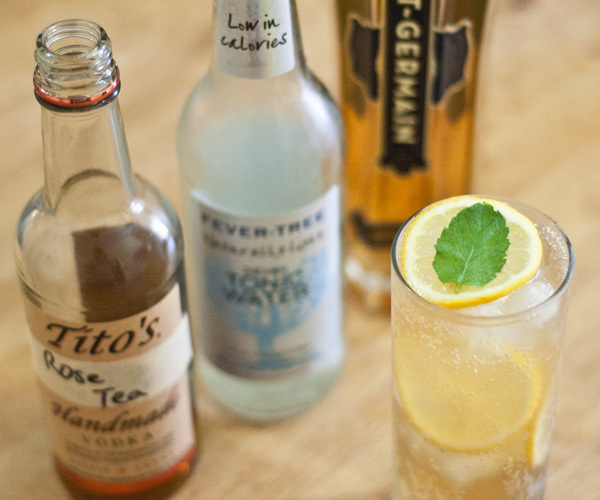 You really don’t want an overly sugary Tonic for this recipe or the drink will be too sweet. 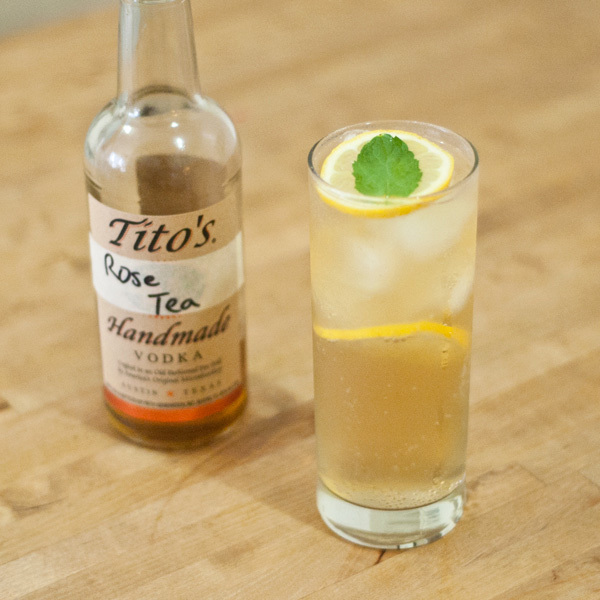 Combine Rose Tea Vodka, St-G, and around 1 oz of Tonic Water. Gently stir for just a few seconds so everything is swimming together in harmony. Pour into a Collins glass over Ice. 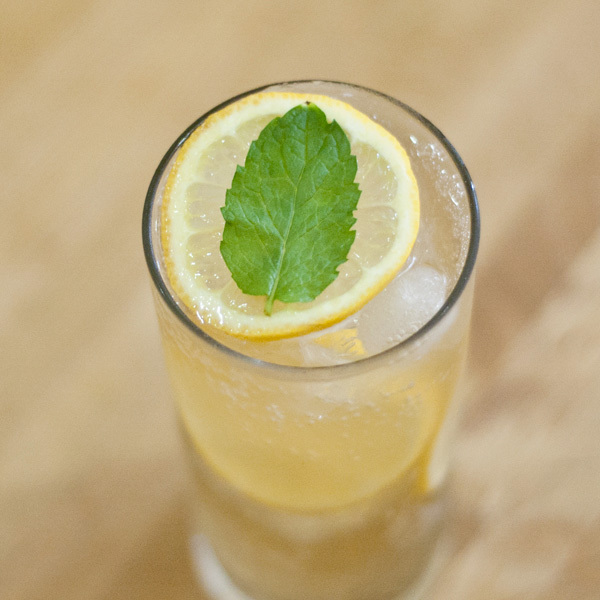 Garnish with Lemon slices and Mint. Top up with more Tonic Water. Bonus: if you have the Fever-Tree Bitter Lemon, it makes an incredible substitution for Tonic in this drink! Summery Cheers to you all! ← The Pineapple Plymouth Gin is back!